Often unfairly lambasted and singled out by mainstream media, gaming has seen its fair share of unwarranted attacks, generally backed up by poor research and bias intentions. So when news outlet CNN published an article claiming that gaming led to depression and bad grades, we were rather dubious. To see whether there was any credence to the article, PlayStation LifeStyle interviewed Professor Douglas Gentile, lead author on the study in question. 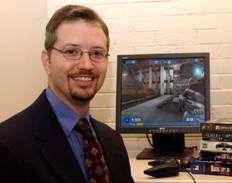 Professor Douglas Gentile is by no means an anti-gaming enthusiast, having published many studies on the benefits of gaming, as well as his recent study, “Pathological Video Game Use Among Youths: A Two-Year Longitudinal Study“, a pdf of which can be viewed here. Hi Professor Gentile, could you start by introducing yourself and telling us about your involvement in this study? I am a developmental psychologist who specifically is interested in how the media (all types) can influence children and adolescents, both in positive and in negative ways. I have authored several studies of video games, including studies on how violent games are related to aggression, how prosocial games are related to increased helpful behavior, and how gaming in general is related to improved surgical skills. I was lead author on this study, which is just one part of a much larger study of video games and their effects (again, both potentially positive and negative) headed by Dr. Angeline Khoo of the National Institute of Education in Singapore. To clarify, do you believe that CNN aptly represented your data? I don’t know that I saw their report. Why was the study conducted in Singapore? That’s where the grant to study games was given. What games did the subjects play? Was a distinction drawn between the addictiveness of an MMO compared to that of a singleplayer game? They played all types of games – we let them tell us their favorite games, which were of all types. Were those diagnosed with gaming addiction tested for other addictions? Were they susceptible to addictions, or did gaming cause them to be addictive? What was the average age and financial background of the subjects? Average age was 9, and all economic levels were represented (although there were slightly more upper income kids than would be representative of the overall population. Was there a control group, and how did levels of depression in the control group compare to the test group? Yes, there were four groups identified – those who were “addicted” at the beginning of the study and stayed addicted, those who were addicted at the start but not 2 years later, those who weren’t addicted and stayed not addicted, and those who weren’t at the start but had become addicted. Levels of depression were higher in the addicted group from those who weren’t. The interesting thing was that depression got worse if people became addicted, and got better if they stopped being addicted. To gauge addiction, you tested child gamers: “did they lie about the amount of time spent playing, had their schoolwork suffered, and if playing helped them escape from problems or bad feelings.” – Considering children were involved, could some of your data be skewed as children are naturally more predisposed to lying, and finding excuses for their own lack of effort? Well, this isn’t exactly an accurate way of describing how pathological gaming was measured. We modified the exact criteria that are used to diagnose pathological gambling, all of which measure damage to functioning. I think your argument is not likely for many reasons, some of which are cultural differences between US and Singaporean children, and some of which are due to the fact that the kids didn’t know what we were studying. It was a big study that went across 4 days of testing each year for 3 years. This is only one small part, and they didn’t know how the data would be used. Do you think parents are at fault, and should be more responsible? I think we don’t need to look for someone to blame. Of course parents should be involved in their children’s media habits, as many of my studies show. I think that for some children, the gaming gets out of balance with their other responsibilities, and they need help from their parents, friends, and possibly professionals. If someone is playing an unhealthy amount of games, what advice would you give to them? Recognize that it may be something they will need help to get under control. 84% of the youth in our study that were “addicted” in year 1 still were 2 years later. This means it’s not simply a phase they went through. It also means that it may not be easy to stop without help. How do you think governments should react to your data? I think we need more research to determine if this is the same level and type of problem as other addictions. Other than that, I don’t see that governments really should have much role in this. It’s something the medical community will need to consider, which may ultimately have an impact on diagnosis and treatment. PlayStation LifeStyle would like to thank Professor Douglas Gentile for taking time out of his busy schedule to answer the interview questions. Looking at the data, and the way it was collected, the study seems to be rather sound, with the only possible flaw being the fact that no difference was studied between the addictive qualities of an MMO and a singleplayer game. Has gaming negatively affected your life, or are the ‘dangers of gaming’ exaggerated? Share your thoughts in the comments below.